When it comes to septic tanks and systems, it’s pretty much never a DIY situation. A malfunctioning septic system can contaminate Mead Valley drinking water supplies and cause flooding, as well as create sewage backup and biohazardous situations. If you need a septic system installed, pumped or repaired, hiring a certified Mead Valley, CA septic professional is a no-brainer. SEPTIC SERVICE, SEPTIC CLEANING, SEPTIC TANK REPLACEMENT, NEW CONSTRUCTION, LEACH FIELDS, SEPTIC TANK REPAIRS, PORTABLE RESTROOMS, PLUMBING AND SNAKING MAIN LINE. 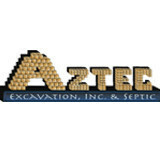 Aztec Excavation and Septic is an experienced sanitation system contractor based in Murrieta, California that specializes in septic system installation, septic repair, excavating, trench building, road grading, lot preparation, and utility installation. For more than a decade, we've provided Southern California residents with the highest level of workmanship at very competitive prices. We've worked at hundreds of sites, and built a reputation for honesty and value. A majority of our business comes from client referrals and repeat business, and we’re featured on the preferred contractors list for the counties of Riverside and San Diego. We are C-42 state licensed, bonded, and insured. We stand by our work, and always perform all excavation and septic services to code. At Aztec Excavation and Septic, we primarily serve individuals living off major grids or builders specializing in custom-built homes. We support their needs by offering expert lot preparation, excavating, and trenching, as well as the installation of septic tanks, advanced treatment units (ATUs), leach lines, leach fields, seepage pits, infiltrators, water lines, gas lines, electric lines, cable lines, and/or telephone lines. We also provide repair and replacement services for septic tanks, leach lines, baffle walls, distribution boxes, risers, lids, and more. 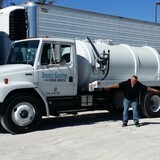 We offer the best septic maintenance services in the Grand Terrace area! Give us a call today to hear more about our services! Combining years of experience with a dedication to client satisfaction, County Wide Septic Pumping has established itself as the local leader in Septic Pumping, Septic Service and Septic Cleaning. Senor Septic is Riverside and San Bernardino County’s septic tank expert, providing comprehensive septic system services at highly competitive prices. 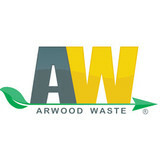 We are a C-42 sanitation system contractor with over 20 years of field experience. Our broad range of septic tank services, available throughout Ontario, Highland, San Bernardino, Fontana, Rialto, and surrounding areas, includes septic tank pumping/cleaning, installation, repair, inspection, and certification. Whether you need to create a new drain field, add a leach line, or install a complete septic system, we always use the industry’s best practices and perform every job according to city and county codes. We use modern pumping equipment to ensure optimal clean-out of your septic system, and inspect every tank thoroughly. As a family owned and operated business, we pride ourselves on our exceptional workmanship and superior customer service, and stand behind our work with a one-year labor warranty on all septic tank installations. When you need crises and emergency services, Diamond Environmental Services should be your first and last choice. Abbott Septic Service is a fully licensed and insured Class A general engineering contractor, providing expert septic tank services to San Diego County since 1948. Our highly skilled technicians have an average of 20 years of industry experience, and many of them are certified by the Portable Sanitation Association International (PSAI) and National Association of Wastewater Technicians (NAWT). We offer the best rates on expert septic tank pumping, cleaning, repair, installation, and locating for Escondido, Fallbrook, San Marcos, and other nearby cities. As a local, family owned company, we are dedicated to superior customer service, and thousands of clients can attest to our honesty, integrity, and exceptional workmanship. Whether you need to lay underground pipes for a remodeling project in Fallbrook, install a seepage pit/leach field for a residence in El Cajon, or backfill an existing tank in the San Marcos area, we always perform our work according to the industry’s best practices and comply with all applicable codes. We also offer professional septic tank inspection services for realtors and prospective buyers, and are authorized to issue certificates of inspection. We provide a one-year written warranty on all new septic tank systems. Contact us for any of your septic pumping needs, top notch service! Complete Septic System Services and Rooter Services.